We talk about social capital, cultural capital, creative capital, even ‘emotional capital’. It seems that capital can stand in for almost every human capacity. Why is this? Given its role as a real currency, it’s perhaps not surprising that we also use money as a metaphorical currency. Money acts as an accepted means of exchange based on a common measure of value which allows very different things to be exchanged; material things, human labour, goods and services of all sorts. The role of money is familiar in our transactions. In the material world we are constantly buying and selling stuff, including our labour and that of other people. Capital is accumulated money which represents the potential to own or do things. Having capital is a first step to making things happen – or maybe preventing them from happening. In the world of ideas we also like to ascribe value and attempt to rate different ideas on common scales. This can involve some fairly crude ‘lumping and labelling’. Agglomeration, the ‘lumping’, requires disparate processes to be brought together as one. Reification, the ‘labelling’, requires us to take an idea which we can think about, modify and use and to treat it as a thing which we can own and keep. This process turns complex social transactions and behaviours, such as skilled work, teaching and learning into things which can be quantified, measured and exchanged. This shift can help make things clearer but the danger lies in oversimplifying and forgetting that we are talking about an interaction between human beings in a social context rather than a disembodied exchange of goods. 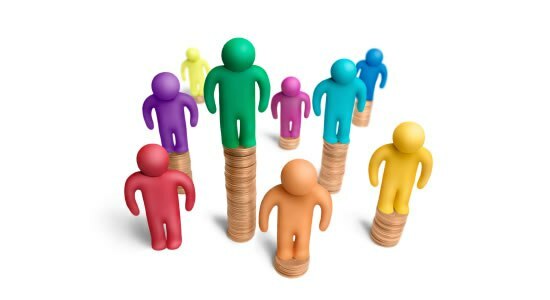 There is a big difference between the capital sitting in a bank account and the myriad of activity it could be funding. We need to avoid simply counting the money when we could be discussing how to spend it wisely. When we talk about education we use a lot of these agglomerated and reified ideas: skill, excellence, achievement, creativity, intelligence, character, potential … to name just a few. Each one is a broad term which lumps together a range of very different social interactions between people and is often fiercely contested by those who use it to mean different things. Each one has been subject to attempts to create a scale of value with all the measurement and comparisons this implies. The problem comes when the distance becomes too great between the actual process, such as learning how to do something well, and the measure which represents it: achievement, skill, excellence etc. And so we end up talking about ‘the skills agenda’, ‘aiming for excellence’, ‘character building’ and such meta-terms which are several levels removed from the actual processes of teaching and learning. The capital metaphor encourages us to think of social processes such as learning as things which can be acquired and accumulated and which have a value independent of their use in the world. If ‘educational capital’ can be given a market value, then it is only a small step to thinking of all our learning as a form of personal wealth accumulation which is less about our relationship with others and more about topping up our purchasing power in the marketplace. This suggests we should at least be cautious about the use of ‘capital’ as a metaphor and be prepared to question any model of education which seems to try to measure the unmeasurable. This entry was posted in Education, Philosophy and tagged agglomeration, capital, competition, economy, Education, ideas, learning, lump and label, marketisation, metaphor, reification, skills. Bookmark the permalink.